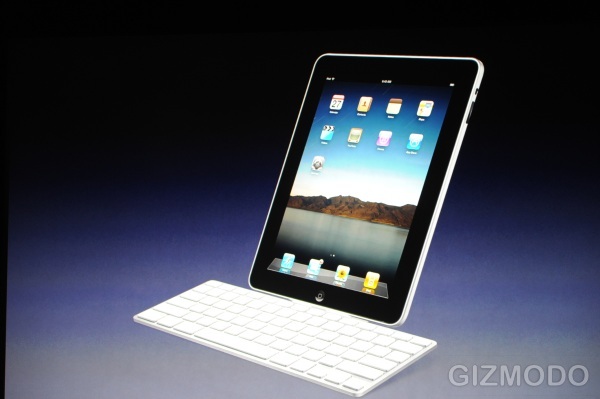 Apple has just released info on their new chunk of plastic (or whatever that thing’s made of), the iPad. It’s basically a large iTouch. Now you must be wondering how much will this tech marvel cost! Well, allow uncle Fontes to enlighten you up! WOW!!! I’ll only have to pay five-hundred bucks or more for something as marvellous as this?! This is wonderful! 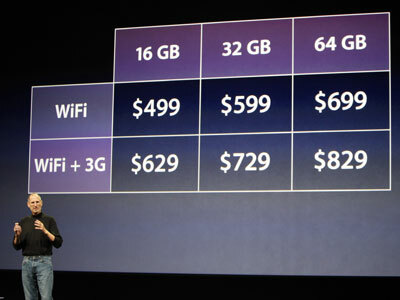 Apple has surely exceeded themselves, this time! And guess what… I’d probably still have enough cash for a box of doughnuts!!! This entry was posted on Wednesday, January 27th, 2010 at 9:34 PM and is filed under Random Crap. You can follow any responses to this entry through the RSS 2.0 feed. You can leave a response, or trackback from your own site. BUT IT’S MADE BY APPLE IT MUST HAVE SOMETHING GOOD! i’m share the same opinion as uncle fontes! heck! might as well get a wii or a ps3 and still buy some damn doughnuts! i don’t have a Eeepc, but i have a mini-compac which cost me like 250euros. the only bad thing about it is that it doesn’t have CD/DVD entrance. but i can still install stuff on it. Beware the power of USB PENS~ 8D I know, I’m crazy. But Apple is crazier, so I feel happy. You actually have a on screen keyboard that is almost real sized. You can type on it without any trouble. True, though I prefer to actually feel that I’m pressing something, as I’m sure many others do. That’s why they’ve shown the accessory, I presume.